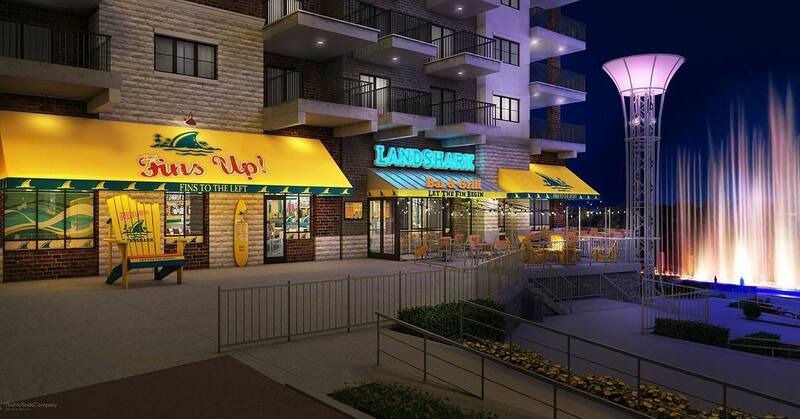 LandShark Bar and Grill that will open in late 2018. It will replace Texas Land and Cattle in the town square part of the shopping and dining area. LandShark is inspired by the great “beach joints” that once dotted the Atlantic coast. The menu is American beach food with a fresh coastal twist. The restaurant is under the Jimmy Buffett Margaritaville umbrella. You will find Jimmy Buffett-inspired items.